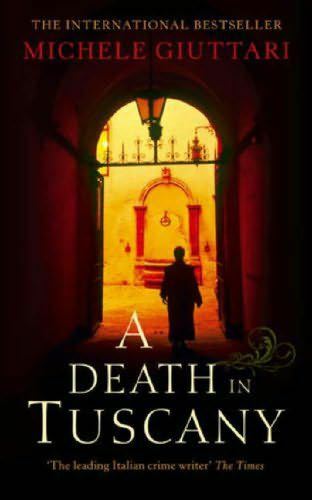 A Death in Tuscany is a murder mystery by Italian crime writer, Michele Giuttari. It centers around protagonist Michele Ferrara, the Chief Superintendent of Florence’s Squadra Mobile, an elite police force. Ferarra is disturbed by a case that appears on his desk, that of a young girl who was found on the side of the road after overdosing on heroin. But the case is not as simple as it appears. While others want to push it out of the way, saying she was just a junkie, Ferarra dives into the case and finds more twists and turns than he could have possibly imagined. The book is full of murder, Mafia, drug cartels, and a deep conspiracy that might be rooted in the Freemasons. It was a rollicking good ride and I plan to pick up more of the books in this series. The fact that they all also take place in Italy, just appeals to me even more at the moment. An interesting fact is that the author, Michele Giuttari is a former police chief from Florence. He has a real insight into how the police force and justice system operate, which is shown in the book. It is kind of like watching a long version of an Italian Law and Order. Which for me, was delightful. If you don’t care for murder mysteries, then you wouldn’t care about this at all, but if you do, this series is a fun example of the genre. Thank you a bunch for sharing this with all folks you really know what you’re speaking approximately! Bookmarked. Please also talk over with my web site =). We may have a link trade contract between us!